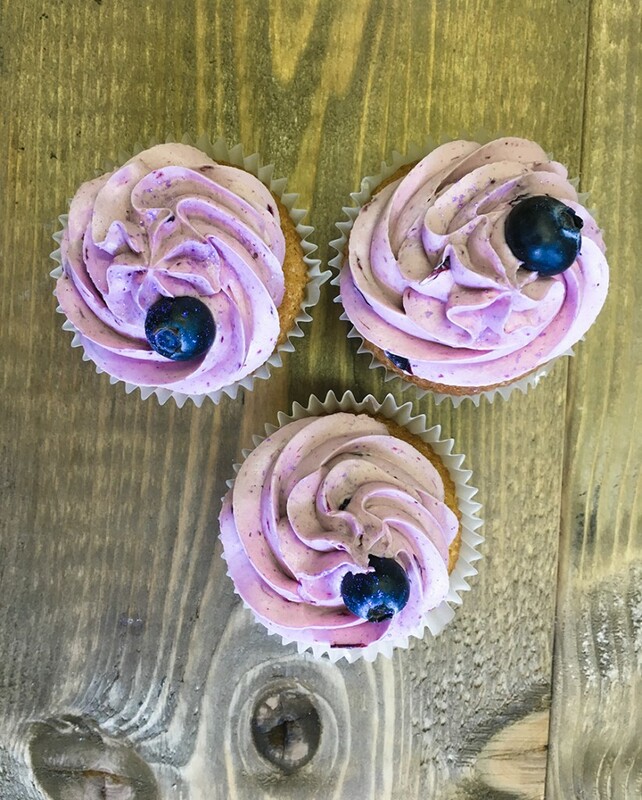 A light and fluffy blueberry cupcake topped with a fresh blueberry frosting. 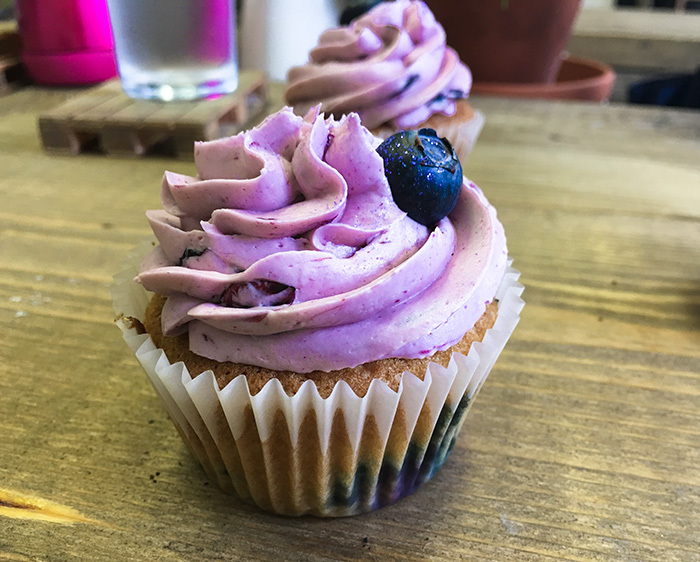 British blueberries are currently in season so when a blueberry cupcake flavour was requested I didn’t hesitate to give it a go. 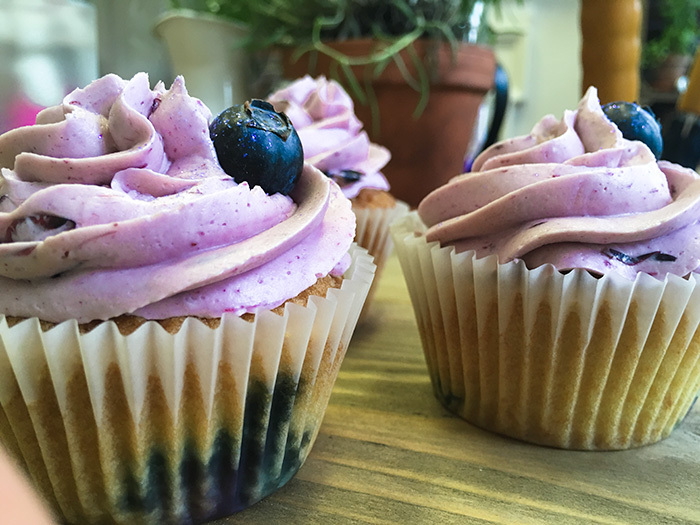 Blueberries are actually my favourite fruit! 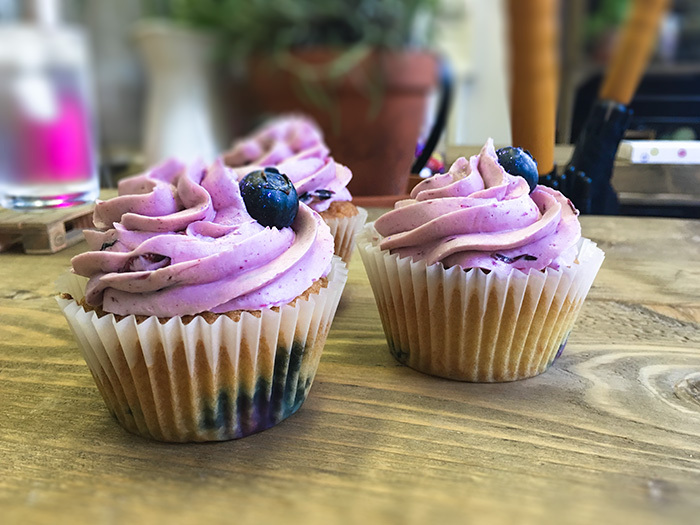 I briefly looked into recipes before making these, but when I came to find one to follow, I realised they all used freeze dried blueberries….not something I could pop to Tesco to get! So I had to settle for a recipe without them (much to my disappointment!). I’ll order some in for the next batch I make! The sponge on these were really tasty and stayed light and fluffy so I would definitely use this recipe again. 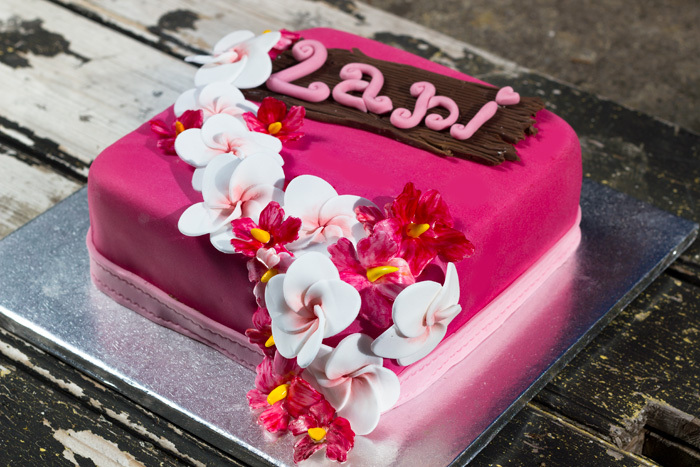 To be honest, I was a little disappointed with the frosting on these as I didn’t find it tasted very strong. However, I did have a bad cold at the time of tasting it so it may just have been my tastebuds as I was reassured that they tasted great by everyone that gave them a try!